Law and Order, Perry Mason, Judd for the Defense, the Defenders, Boston Legal, The Verdict, LA Law, State of California v. O.J. Simpson, State of Florida v. Casey Anthony, United States Government v. Rod Blagojevich and every other trial, movie or television portrayal of trials have one thing in common, every witness must swear under oath to tell the truth. Before testifying, every witness shall swear or affirm to testify to the truth, the whole truth, and nothing but the truth. The mode of administering an oath or affirmation shall be such as is most consistent with, and binding upon the conscience of the person to whom the oath is administered. The plaintiff in Raymond Flores v. Juan P. Rocha Gutierrez learned the hard way that truth and disclosure are important throughout the case and specifically when providing information to a treating physician. In that case, the plaintiff was actually fortunate enough to have obtained a default against the Defendant concerning liability, so the Plaintiff was only required to present evidence that his injuries and damages probably were caused by the actions of the defendant. Mr. Flores had suffered a neck and back injury, previously in 1998. According to his doctor, these problems had resolved by 2001. 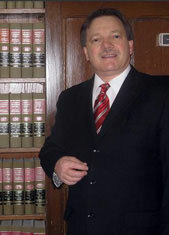 In December of 2007. he was involved in an automobile accident which was the subject of this lawsuit. Between December of 2007 and July of 2008, he saw his treating physician two or three times and a pain management specialist. In January of 2010, he was injured at work. He next saw the doctor in March of 2010. He did not mention the injury at work, even though a workers compensation claim was pending. During the discovery process he had denied any prior back or neck injuries. On direct examination, the doctor indicated that the patient’s current back and neck problems were due to the 2007 vehicle accident. During cross examination at trial, the physician specifically testified that the fact of a fall would be relevant to his diagnosis, that he had been unaware of Flores’s January 2010 fall when reaching his diagnosis, and that his assessment of Flores was based, at least in part, upon the patient’s representations. In this instance, the plaintiff placed his physician in a very difficult situation as the doctor did not have all of the facts about his patient’s condition and history at the time of testifying. The jury chose to not give any damages, so although plaintiff may have suffered injury, he received absolutely nothing for his lost wages, pain and suffering, disability and medical expenses. The jury’s verdict was quite possibly due to his lack of candor in failing provide full and truthful disclosure during discovery as well as his withholding of injury information to his physician despite the fact that he had filed a workers compensation claim. On another note, the court chose to allow photographs depicting a lack of significant property damage from the collision without any expert testimony stating whether the lack of property damage was an indication that the plaintiff was not injured. This is a terrible blow to the plaintiff’s bar and to accident victims as it is pretty common knowledge that even a sneeze can cause a disk injury under certain circumstances. There will now be an increased burden on injury victims of low impact collisions to prove their losses and to obtain compensation. Burton Padove is a personal injury attorney who has represented victims of accidents, malpractice, bad drugs and defective property conditions for thirty years. Your comments are welcome. For more information regarding other topics click on the various categories listed in this blog for more information or please visit his website at www.indianapersonalinjurylawyer.net. He can be reached at (219) 836 2200.